Another year of riding lies ahead, and the winter and spring months are a great time to get all your planning in order. Whether you’re a seasoned traveler or just starting out, be sure you consider some of these important things during your planning. How much time can you take off to tour this year? 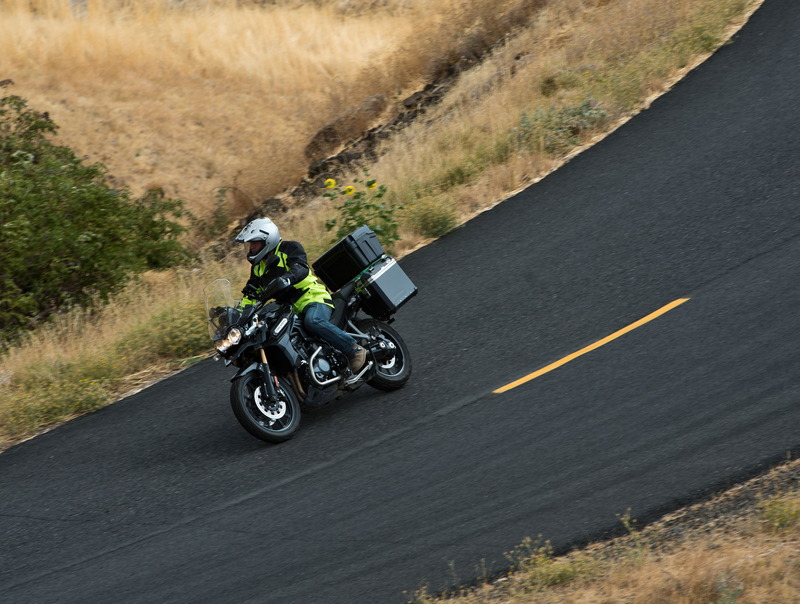 Even if your time is limited and you can’t ride your motorcycle across the country, you could ship it and have it waiting for you. 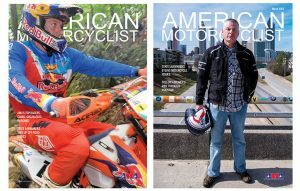 (AMA members get a discount with Federal; see www.americanmotorcyclist.com > For Members > Member Discount Codes.) That way, you’ll have the time you need to explore that area and either ship the bike back home or take some extra time to ride back. Regardless of how short your time is, the possibilities are endless. Where would you like to go this year? The world is your oyster. Seasonal conditions can affect when and where we plan to ride. For example, with so many fires on the West Coast the last few summers, perhaps you’ll want to take a trip like that in the spring or fall. The bonus would be less smoke, fewer vehicles on the road and cooler temperatures. Buy a detailed guide or two about where you’re going beforehand. Michelin, Fromer’s, Lonely Planet and Fodors all offer insights beyond what you’ll find in a typical atlas. If you don’t have room for a printed version onboard, look for e-books that you can access on your phone or tablet. Speaking of packing, how much stuff should you take? If you’re still not sure what to pack and what to leave at home, start making your list now and compare it to others you find online. Whether you’re going for a week, a month, or longer, be sure to build some free days into your travels. These days allow you to soak in more of the places you’re visiting and regenerate, so you’re refreshed for the next few days of riding ahead. It’s always nice to tour a national park and take a day off the motorcycle. Grab a tour bus and see all there is to see without throwing a leg over the bike 50 times in a day. It also gives you time to relax, catch up on the news back home, do some laundry and restock on snacks. Staying in hotels and motels every night can get expensive. Nowadays, many riders incorporate a few nights of camping into the route. And with all the advancements in technology, camping is not a bad option because gear these days is more packable and comfortable. Remember, too, many states offer parks with onsite cabins and yurts, which get you off the ground with a solid roof over your head, often for far less money than a motel room. Weather is always a consideration. If you plan to be out for more than a few days, be sure to pack for all weather possibilities. In North America, cold temps and even snow can occur as late as June and as early as late August. Rain can happen anytime. A set of warm base layers and rain gear is always advisable, any time of year. If you don’t know much about weather in the area where you’re going, take a few hours to get your head in a book on weather smarts or search online to learn about things like anvil clouds, mountain thunderstorms and summer hail and the best ways to deal with them. It never hurts to be sure your paperwork is in order. When are your license and registration renewal dates? Be sure to take care of those in advance if you’ll be away when renewal dates occur. Some states don’t require motorcyclists to carry liability coverage, but most do. If you’re uninsured, that will work against you in a state that requires it. If you’re planning to cross over the international boundary, be certain your passport will be current during your time there. What is the current mechanical condition of your bike? Will your bike require a Level I, II or III service while you’re on the road? Plan ahead. Pick where you want to have the service done and order or ship all the necessary parts to that location in advance. No sense waiting around for an oil filter to arrive. Tires are another consideration. Mileage-wise, motorcycle tires can last only a fraction of typical car tires, so you may need to consider buying new tires along the route. Again, you can plan and ship them ahead, or order with the installer of your choice in advance. Staying healthy is a key component to a successful trip. It’s tempting to take meals at restaurants during the day, but consider buying unprocessed food like fruits, vegetables, nuts, cheese and meats to enjoy as a meal at least once a day. When you do eat out, leave the leftovers behind. Unless you can refrigerate them, they can grow bacteria and cause food poisoning. That’s something you never want to suffer, especially on the road. If you exercise regularly at home, try and stick with it by allocating 20-30 minutes a day to do a simple cardio workout like walking. Floor exercises or using some light free weights can help maintain your muscle tone. Should illness strike, it’s time to move to plan B — hole up somewhere comfortable, drink plenty of fluids and stay off the bike until you recover beyond any fever, pain or dizziness. Wherever your journey takes you, we hope it’s a great one. 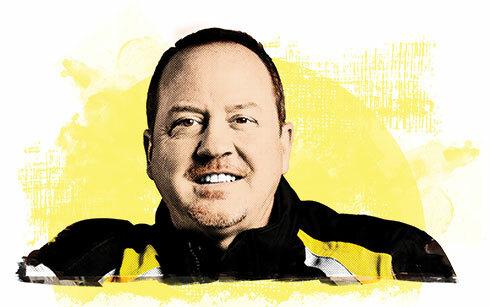 Tom Mehren produces soundrider.com, an online resource of information about riding motorcycles in the Pacific Northwest and has authored six tour books on the subject.